A man has been arrested after a woman was stabbed at a home in Heysham. 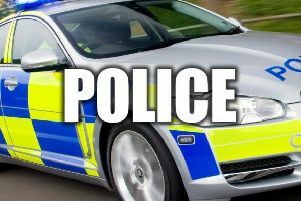 Police were called to an address in Sylvan Place about 10am on Tuesday, after reports a woman had been seriously injured. A 68-year-old woman was found inside the property with stab wounds. Paramedics and the air ambulance attended, and she was taken to Royal Preston Hospital for treatment. A 68-year-old man was arrested at the scene on suspicion of assault and was in police custody. The man has been bailed by police until December 24. Det Insp Phil Jones of Lancaster CID, said: “Investigations are continuing following a serious assault at a property in Heysham. Anyone with information can contact police on 101 quoting log reference 0316 of November 24, or alternatively Crimestoppers can be contacted anonymously on 0800 555 111.